Samsung Electronics has announced customers in the UK are now able to buy the Galaxy NX, the world’s first 4G interchangeable lens Connected Compact System Camera (CSC), from Jessops and Currys with selected online and high street retailers to follow. 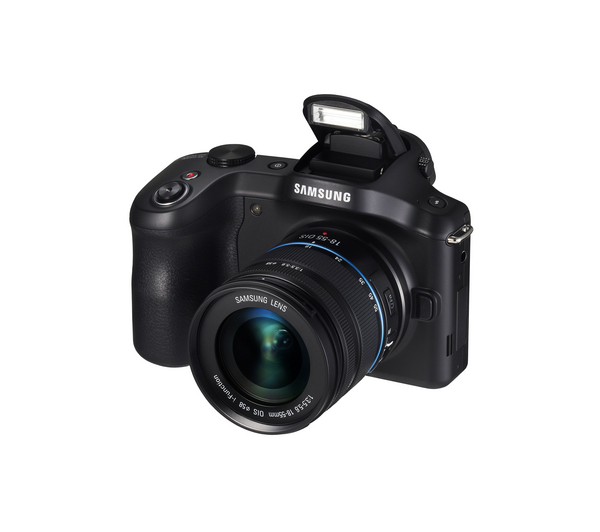 Featuring 3G/4G LTE technology, the Galaxy NX allows photographers to share professional quality images and enjoy a range of features including Photo Suggest which offers location-based recommendations of popular photography spots, and Story Album which allows you to view a timeline of shots and create digital photo books. Kitted out with various interchangeable lenses, the 20.3MP APS-C Sensor will, Samsung claims, produce bright and detailed images, even in lowest lit conditions, while the DRIMe IV Image Signal Processer delivers speed and accuracy. Running on an Android 4.2 Jelly Bean OS, the Galaxy NX can be personalised with a huge range of Android apps to help capture amazing photographs and video, edit images or add special effects. More than 30 Smart Mode options mean the optimum settings can be selected for the environment photographers are shooting in, whilst Multi Exposure merges two different shots together to produce one image and Animated Photo connects continuous shots of up to five seconds, creating a moving GIF file.